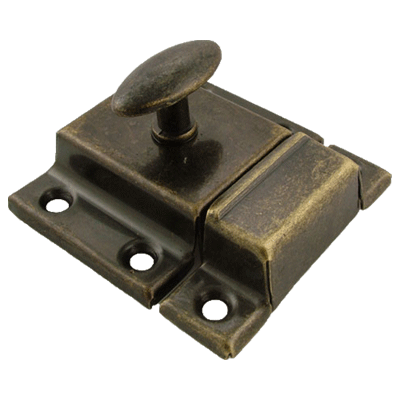 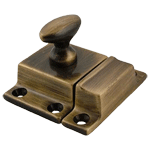 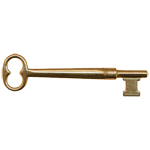 Stamped Cabinet Latch Made Of Antique Brass Plated Steel These stamped and plated steel latches are as affordable as they are authentic. Lightweight and slightly distressed, they're a great choice for inexpensively restoring a piece not intended for every day use. 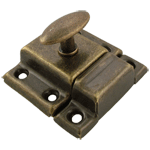 This item is $2.74 when your order exceeds $250 before shipping in qualifying items.